Two brothers hold their checks after winning very different prizes in a Florida lottery on Wednesday, March 2, 2016. Two brothers played the Powerball and won, but there is a big difference in their prizes. 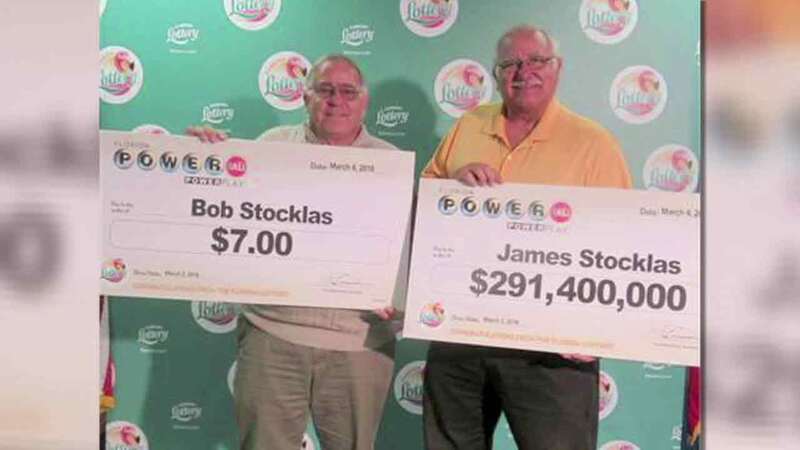 James Stocklas and his brother, Bob, held their giant checks after Wednesday's drawing, but James' is for more than $291 million. Bob's check was for $7. James, who's a judge in Pennsylvania, was ending his vacation in the Florida Keys when he stopped at a convenience store and bought the lucky tickets. He found out he'd won while dining in a restaurant back home and bought everybody breakfast. With his earnings, James said he was planning another trip to Florida.